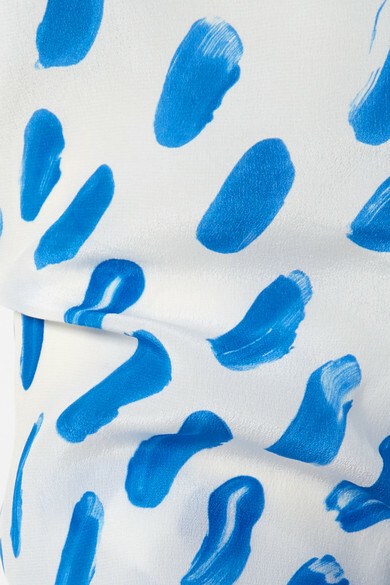 Inspired by the artistic workshops in which its collections are conceived and palettes designed, Marni takes a painterly approach to the Spring '19 collection with this brushstroke print. 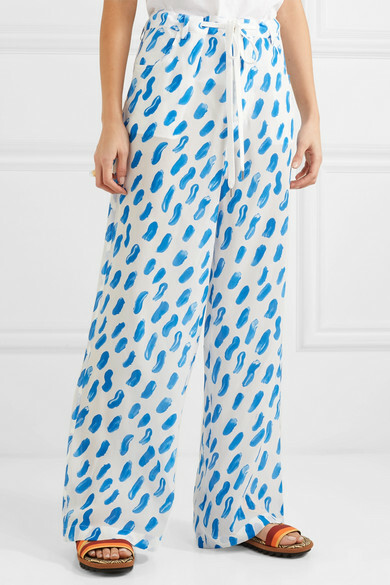 These wide-leg pants are made from silk-georgette and adorned with the same playful motif and detailed with a comfortable drawstring waist. 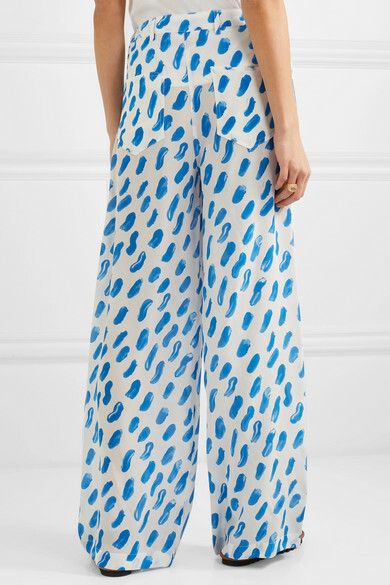 The loose fit makes them ideal for balmy summer days. 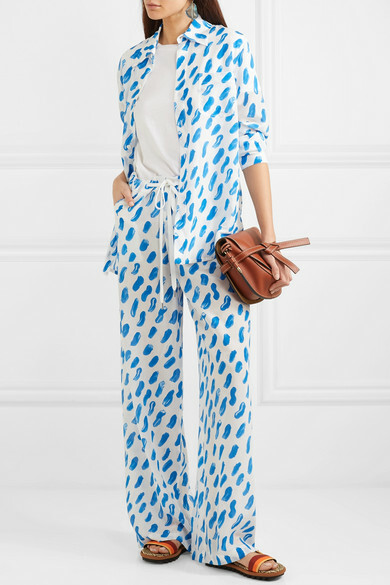 Shown here with: Marni Shirt, Prada T-shirt, Dries Van Noten Sandals, Marni Earrings.